Colombia were originally chosen as the thirteenth hosts by the FIFA Executive Committee on 9 June 1974 in Stockholm. However, the Colombian authorities declared in November 1982 that they could not afford to host the World Cup under the terms that FIFA demanded. 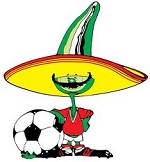 Mexico were selected on 20 May 1983 in Zürich as the replacement hosts, with unanimous votes ahead of Canada and USA, Brazil had also pulled out, and Mexico became the first nation to host two World Cups. However, a severe earthquake in September 1985, eight months before the tournament, cast doubt over Mexico's ability to organize the event; however, the stadiums were not affected and it was decided to go ahead with the preparations. The 24 participating teams were divided into six groups, in which all four teams would play each other once, at a draw conducted at Televisa television studios in Ciudad de México on 15 December 1985. The top two teams and the four best third-place finishers from the six groups advanced to the knockout round of 16 teams. 7 May: 18 members of the World Cup squad flew from Gatwick to Colorado for altitude training. The remaining four Everton players stayed at home in preparation for the FA Cup Final, three days later. 11 May: England beat a US Air Force team, 11-0. Bryan Robson and Ray Wilkins were the only players not to take part in the game. Robson had strained an Achilles tendon running around the hotel pathways, whilst Wilkins had damaged knee ligaments. Glenn Hoddle was particularly impressive, causing his manager to acclaim his talent. 12 May: Robson and Wilkins went cycling, whilst the rest of the squad played golf. The four Everton players arrived in the evening to make up the full squad of 22. 13 May: The squad trained, without the Everton players, but with Robson and Wilkins. 14 May: England beat South Korea, 4-1, at the Fountain Valley School. Both Robson and Wilkins played, without any concerns, but Beardsley, Hateley, Hoddle and Hodge all picked up injuries. Trevor Steven was the only Everton player to appear. 16 May: Beardsley, Hateley and Hoddle were all named in the squad to face Mexico in Los Angeles, but Hodge had damaged ankle ligaments and was to stay in Colorado, along with Gary Bailey (recovering from a cartilage operation) and three Everton players (Lineker, Reid and Stevens), who were still acclimatizing to altitude. 17 May: England beat Mexico, 3-0, in Los Angeles. "...it took England a mere 37 minutes to dismantle the defence, the record and the esteem of the Mexicans." - The Times. 19 May: Bobby Robson submitted his squad to FIFA, four days early, despite concerns over the fitness of Gary Bailey and Steve Hodge. 20 May: Potential replacements for Bailey and Hodge (Martin Hodge and Stewart Robson), were put on standby. 21 May: England's upcoming international with Canada was switched from an artificial surface, at Vancouver, to a grass pitch in a smaller stadium, at Burnaby, because Bobby Robson did not want to increase the risk of any of his players twisting or jarring anything. Steve Hodge, meanwhile, passed his fitness test. 22 May: Whilst Gary Bailey passed his fitness test, Bobby Robson expressed concern that Bryan Robson had been unable to train since the game against Mexico. 23 May: The squad arrived in Vancouver. 24 May: England beat Canada, 1-0, in Burnaby. 26 May: The squad flew from Vancouver to Monterrey, their Mexican base for the first round group. 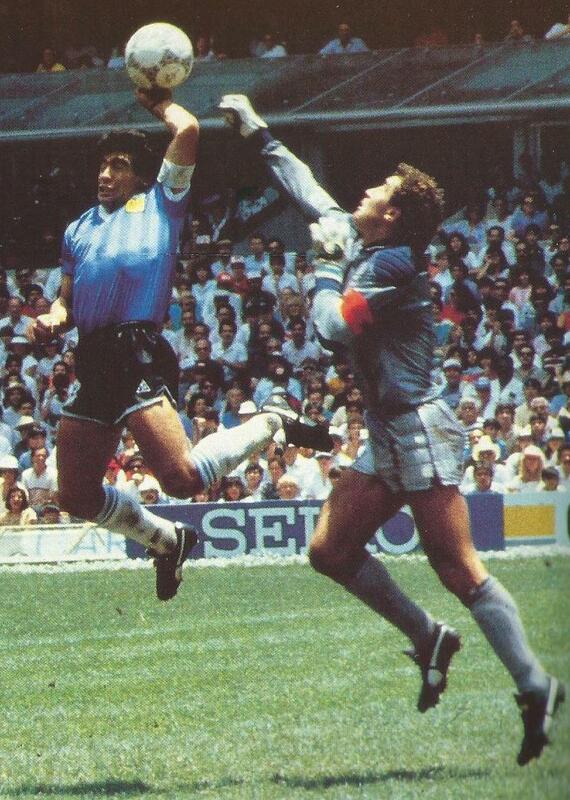 Gary Lineker's left wrist was heavily strapped after severely straining it against Canada. 27 May: England trained at Saltillo in 36-degree Celsius heat. Lineker trained with his arm in a sling and Robson trained separately to the rest of the squad. 28 May: England's second string beat Monterrey, 4-1. 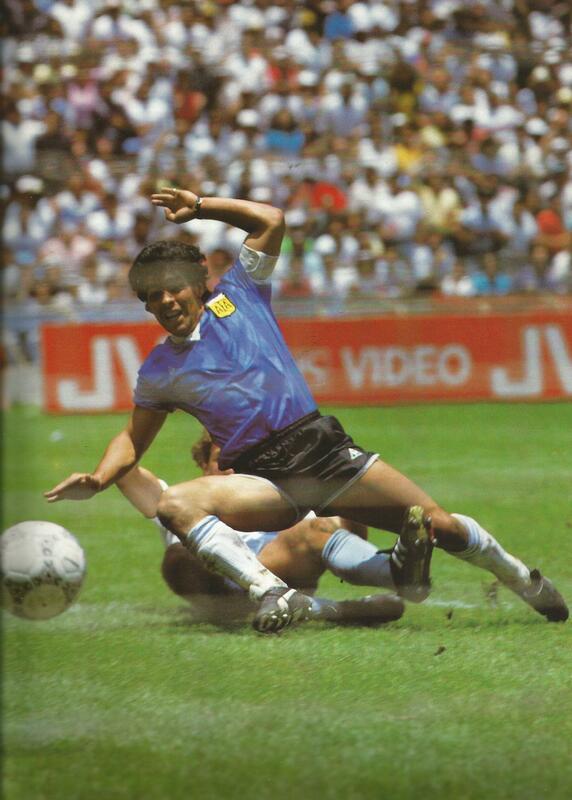 30 May: Lineker trained with a fibreglass cast on his wrist. 31 May: England played a light-hearted half-hour game against a team of eleven-year-olds in Saltillo and drew, 5-5! 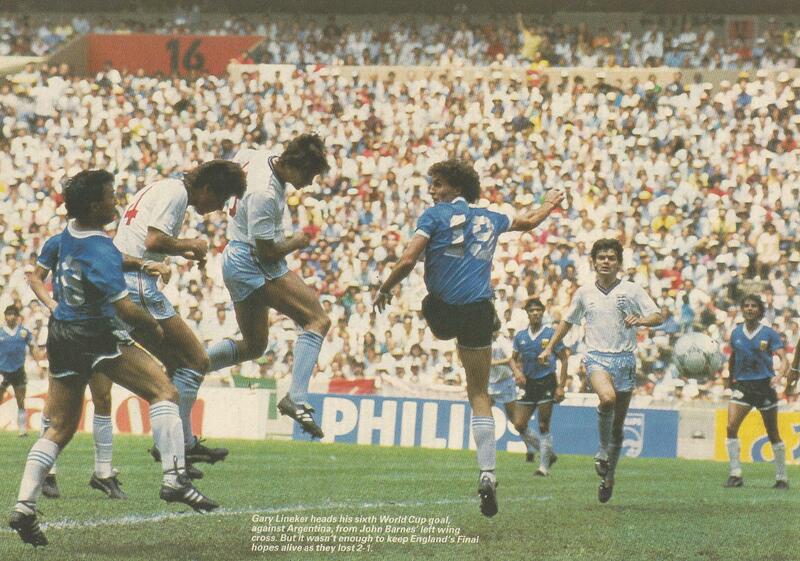 1 June: The squad trained in the Estadio Tecnologico, with Bryan Robson appearing closer to full fitness. "The Portuguese goal...came after England had failed to take advantage of a sustained period of second half pressure. "They probably did not deserve to lose the game but...England did not produce the kind of quality through the side that we had all anticipated. "A Worrying Start - With Missed Chances Galore! "Of course it's a disappointment...If we play as well as we did today - but take our chances, of course - we can still go through." Bobby Robson. "For much of the first half, the Moroccans had looked technically superior to England and had emphasized that they were far from tactically inept. "...well directed, intelligent passes, in order to make England waste precious energy trying to get the ball. "A Draw With Underdogs Puts England On Thin Ice! "The widely criticized 4-3-3 formation was abandoned...in favour of four men in midfield and two up front. "England Click And Win Their Reprieve! "...they assumed control in midfield where the less-disciplined Paraguayans were outnumbered and eventually overrun. The six third place teams from the Group phase were (A) Bulgaria (B) Belgium (C) Hungary (D) Northern Ireland (E) Uruguay and (F) Poland. Hungary and Northern Ireland were the two teams that finished with the poorest records in comparison with the other third-placed teams and failed to progress to the second phase. Penalty Shoot-out:- Señor 1-0, Claesen 1-1, Eloy saved, Scifo 1-2, Chendo 2-2, Broos 2-3, Butrageño 3-3, Vervoort 3-4, Victor 4-4, L.Van der Elst 4-5. "...if justice was to play a cruel role in their eventual downfall, there can be little doubt that they were beaten by a superior side. "England have left the World Cup with a dignity born of experience. "Bobby Robson: ...there is no doubt in my mind that I'm a better international manager now than when I started four years ago. "This is a unique job, so different to club management. It takes you two years to get used to it." "Robson proved sufficiently astute to recognise the need for a tactical change that the bulk of his squad wanted. The morning after England's defeat - Daily Express headline.